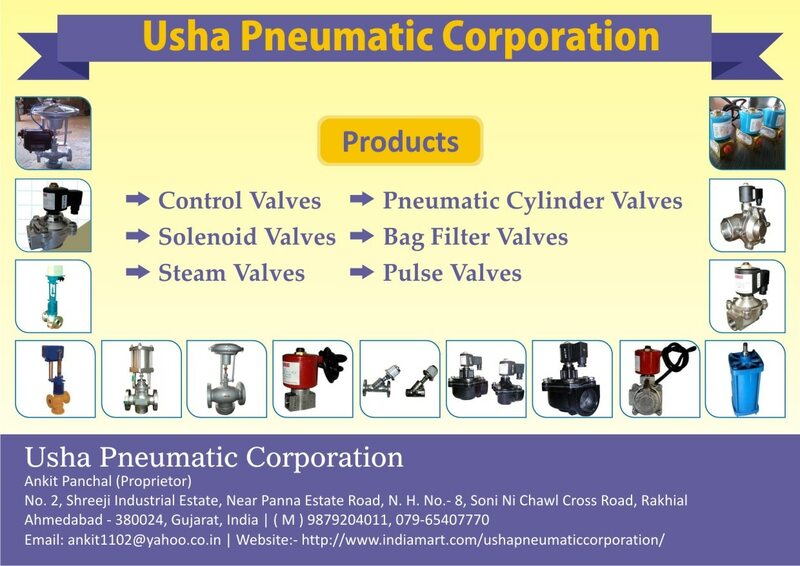 To meet the diverse requirement of every industries like Pharma, Chemical, Air & Gas, Cement Plants, Petroleum Projects etc, we have designed our product PNEUMATIC DIAPHRAGM OPERATED CONTROL VALVE. This product are developed under our workshop which is equipped with all high-tech machinery and instruments. Our team of engineers are well qualified, experienced & are able to provide a quality product to the industry. They are also keen in sourcing the premium quality raw material from the good and well known vendors. Apart from this we are take care of the price range that our esteemed customer can get the best product with competitive price. More more specification are mentioned below. Features :- Easy to Fix. Rust Free. Low on maintenance. Specification:- Both Normal Closed as well as Normal open type. Size available is from 1” to 8”. Material we use is Cast iron, WCB OP. Pressure up-to 35 PSI max, W pressure is 16 BAR. Temperature sets up-to 450* C. Application area are Steam, Thermic Oil, Water as well as chemicals.